25 countries, along with the European Union and the Holy See, gathered for the third Plenary meeting of the International Partnership for Nuclear Disarmament Verification (IPNDV), an innovative public-private partnership between the U.S. Department of State and the Nuclear Threat Initiative, to advance understanding and capacity around the complex technical challenges involved in nuclear verification. The Partnership endeavors to develop the tools and technologies to aid in the verification of future treaties and agreements at lower numbers. 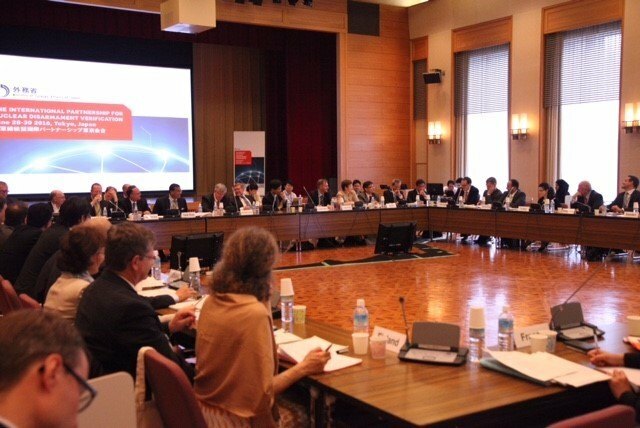 The meeting, held June 28-30, was hosted by the government of Japan and included 100 participants, including the International Atomic Energy Agency. Working Group One: “Monitoring and Verification Objectives,” chaired by the UK and the Netherlands. Working Group Two: “On-Site Inspections,” chaired by Australia and Poland. Working Group Three: “Technical Challenges and Solutions,” chaired by Sweden and the United States. 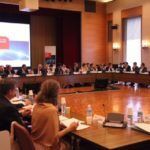 “The three IPNDV Working Groups are initially focused on the most important and most challenging issue associated with future arms control reductions: how to monitor the dismantlement of a nuclear weapon. 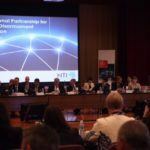 The three working groups have agreed on a total of ten deliverables and are making significant progress towards them,” said NTI Vice President Andrew Bieniawski. For more on the working groups and their deliverables, click here. The International Partnership for Nuclear Disarmament Verification is designed to build capacity among states both with and without nuclear weapons, and develop technical solutions for monitoring and verification challenges across the nuclear weapons lifecycle. 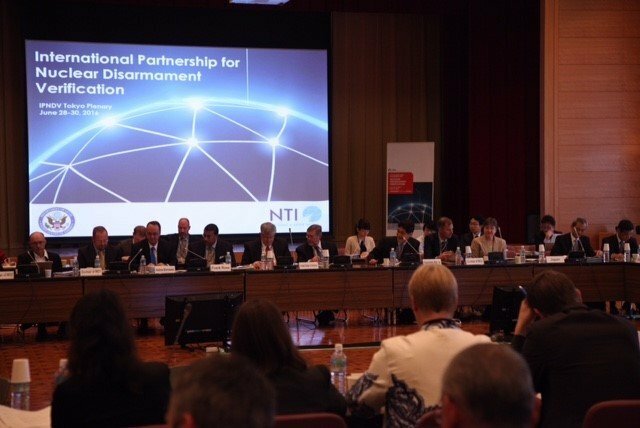 This initiative sets into motion the key recommendation from NTI’s Innovating Verification: New Tools & New Actors to Reduce Nuclear Risks series, released in July 2014: States should come together now to begin an international process to assess verification gaps, develop collaborative technical work streams and contribute to overall global nuclear threat reduction. For more information, visit the U.S. Department of State or the Nuclear Threat Initiative online.